The primary aim of this research is to the effect of the perceptions of hotel employees’ social and economic exchange on their job dedication and turnover intention. It is also aimed to determine the effect of hotel employees’ turnover intention on their job dedication in this research. In this context, questionnaire form was applied in January-March 2018 with convenience sampling method and 401 valid questionnaire forms were obtained. The validity of the scales was determined by exploratory factor analysis and their reliability was determined by Cronbach alpha values. It was found out in consequence of testing the hypotheses that social exchange increased job dedication and reduced turnover intention; economic exchange only increased turnover intention; turnover intention reduced job dedication. In this context, it can be suggested that hotel managers make positive changes in perceived social exchange in order to increase their willingness to work, such as job dedication. Another suggestion is to hotel managers make the perceived social change positive to reduce unwanted feelings and thoughts, such as turnover intention. Bu araştırmanın öncelikli amacı otel işletmelerinde çalışanların sosyal ve ekonomik değişim algılarının işe adanmışlıklarına ve işten ayrılma niyetlerine etkisini belirlemektedir. Ayrıca bu araştırmada işten ayrılma niyetinin çalışanların işe adanmışlıkları üzerindeki etkisinin de tespit edilmesi amaçlanmaktadır. Bu kapsamda oluşturulan bir anket formu Antalya’da faaliyet gösteren 5 yıldızlı otel işletmelerinde çalışan işgörenlere kolayda örnekleme yöntemiyle Ocak-Mart 2018 döneminde uygulanmış ve 401 geçerli anket formu elde edilmiştir. Yararlanılan ölçeklerin geçerlilikleri keşfedici faktör analizi, güvenirlikleri ise Cronbach alfa değerlerine bağlı olarak belirlenmiştir. Önerilen hipotezleri test etmek için yapılan regresyon analizleri sonucunda sosyal değişimin işe adanmışlığı artırdığı, işten ayrılma niyetini azalttığı; ekonomik değişimin sadece işten ayrılma niyetini artırdığı; işten ayrılma niyetinin ise işe adanmışlığı azalttığı belirlenmiştir. Bu kapsamda otel yöneticilerinin işgörenlerin işe adanmışlık gibi istendik tutumlarını artırmak için algılanan sosyal değişimi; işten ayrılma niyeti gibi istenmedik duygu ve düşünceleri azaltmak için algılanan sosyal değişimi pozitif hale getirmeleri önerilebilir. Agarwal, U. A. (2014). Examining the impact of social Exchange relationships on innovative work behaviour: Role of work engagement. Team Performance Management, 20(3/4), 102-120. Akgündüz, Y. ve Akdag, G. (2014). The effects of personality traits of employees on core self-evaluation and turnover intention. Çanakkale Onsekiz Mart Univ. J. Admin. Sci. 12 (24), 295–318. Bhatnagar, J. (2012). Management of innovation: Role of psychological empowerment, work engagement and turnover intention in the Indian context. The International Journal of Human Resource Management, 23(5), 928-951. Biron, M. ve Boon, C. (2013) Performance and turnover intentions: A social exchange perspective. Journal of Managerial Psychology, 28(5), 511-531. Blau, P M. (1964). Exchange and power in social life. New York: Wiley. Bock, G. W. ve Kim, Y. G. (2002). Breaking the myths of rewards: An exploratory study of attitudes about knowledge sharing. Information Resources Management Journal (IRMJ), 15(2), 14-21. Choi, K. (2006). A structural relationship analysis of hotel employees' turnover intention. 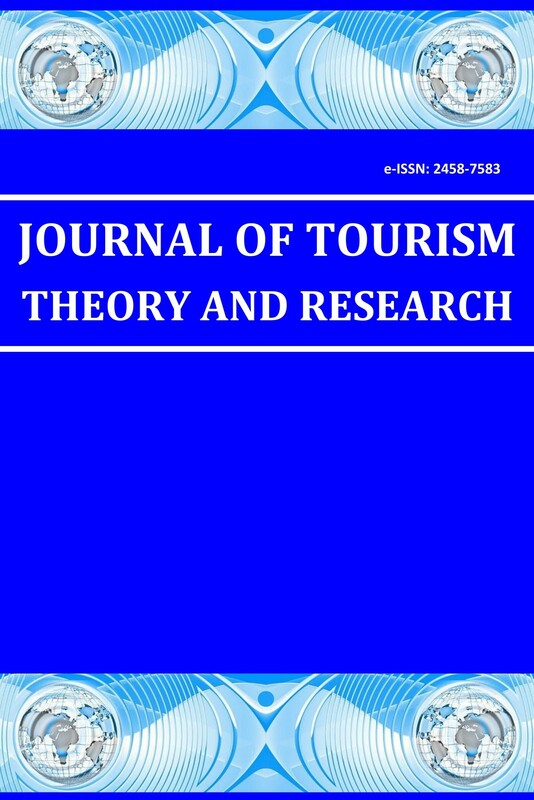 Asia Pacific Journal of Tourism Research, 11(4), 321-337. Dane, E. ve Brummel, B. J. (2014). Examining workplace mindfulness and its relations to job performance and turnover intention. Human Relations, 67(1), 105-128. Emerson, R. (1981). Social exchange theory. In M. Rosenberg & R. Turner (Eds. ), Social psychology: Sociological perspectives (pp. 30-65). New York: Basic Books. Gefen, D. ve Ridings, C. M. (2002). Implementation team responsiveness and user evaluation of customer relationship management: A quasi-experimental design study of social exchange theory. Journal of Management İnformation Systems, 19(1), 47-69. Gould-Williams, J. ve Davies, F. (2005). Using social exchange theory to predict the effects of HRM practice on employee outcomes: An analysis of public sector workers. Public Management Review, 7(1), 1-24. Greene, J. V. (2012). Job embeddedness: Do the interaction effects of attitude, personality, and exchange relationships detract from performance?.Doctoral Dissertation, Kennesaw State University. Hair, J. F. Jr., Black, W. C., Babin, B. J. ve Anderson, R. E. (2010). Multivariate data analysis (7th ed.). Upper Saddle River, NJ: PrenticeHall. Harzer, C. ve Ruch, W. (2014). The role of character strengths for task performance, job dedication, interpersonal facilitation, and organizational support. Human Performance, 27(3), 183-205. Homans, C. G. (1961). Social Behavior: Its Elementary Forms. New York: Harcourt, Brace& World. Jeong, M. ve Oh, H. (2017). Business-to-business social Exchange relationship beyond trust and commitment. International Journal of Hospitality Management, 65, 115-124. Jiwen Song, L., Tsui, A. S. ve Law, K. S. (2009). Unpacking employee responses to organizational Exchange mechanisms: The role of social and economic Exchange perceptions. Journal of Management, 35(1), 56-93. Karatepe, O. M. ve Olugbade, O. A. (2009). The effects of job and personal resources on hotel employees’ work engagement. International Journal of Hospitality Management, 28(4), 504-512. Konovsky, M. A. ve Pugh, S. D. (1994). Citizenship behavior and social exchange. Academy of Management Journal, 37(3), 656-669. Lavelle, J. J.,Rupp, D. E. ve Brockner, J. (2007). Taking a multifoci approach to the study of justice, social exchange, and citizenship behavior: The target similarity model. Journal of Management, 33(6), 841-866. Lee, K. H., Choo, S. W. ve Hyun, S. S. (2016). Effects of recovery experiences on hotel employees’ subjectivewell-being. International Journal of Hospitality Management, 52, 1-12. Li, X., Sanders, K. ve Frenkel, S. (2012). How leader–member exchange, work engagement and HRM consistency explain Chinese luxury hotel employees’ job performance. International Journal of Hospitality Management, 31(4), 1059-1066. Liao, F. Y., Yang, L. Q., Wang, M., Drown, D. ve Shi, J. (2013). Team–member Exchange and work engagement: Does personality make a difference?.Journal of Business and Psychology, 28(1), 63-77. Lodahl, T.M. ve Kejner, M. (1965).The definition and measurement of job involvement. Journal of Applied Psychology, Vol. 49, February, pp. 24-33. Loi, R., Mao, Y. ve Ngo, H. Y. (2009). Linking leader‐member Exchange and employee work outcomes: The mediating role of organizational social and economic exchange. Management and Organization Review, 5(3), 401-422. Meng, B. ve Han, H. (2014). The effects of empowerment on employee psychological outcomes in upscale hotels. Journal of Hospitality Marketing & Management, 23(2), 218-237. Michael, D. F. (2014). The impact of leader-member exchange, supportive supervisor communication, affective commitment, and role ambiguity on bank employees' turnover intentions and performance. International Journal of Business and SocialScience, 5(7). Mobley, W. H. (1977). Intermediate linkages in the relationship between job satisfaction and employee turnover. Journal of Applied Psychology, 62(2), 237. Molina, M. A. C., González, J. M. H., Florencio, B. P. ve González, J. L. G. (2014). Does the balanced score card adoption enhance the levels of organizational climate, employees’ commitment, job satisfaction and job dedication?. Management Decision, 52(5), 983-1010. Muldoon, J. (2017). The role of job dedication in organizational citizenship behavior performance. Management Research Review, 40(10), 1042-1057. Muse, L.A. ve Stamper, C.L. (2007). Perceived organizational support: Evidence for a mediated association with work performance. Journal of Managerial Issues, 19(4), 517-535. Osman, I., Noordin, F., Daud, N. ve Othman, M.Z. (2016). The dynamic role of social exchange and personality in predicting turnover intentions among professional workers. Procedia Economicsand Finance, 35, 541-552. Shore, L. M., Tetrick, L. E., Lynch, P. ve Barksdale, K. (2006). Social and economic exchange: Construct development and validation. Journal of Applied Social Psychology, 36(4), 837-867. Shore, L.M., Bommer, W.H., Rao, A.N. ve Seo, J. (2009). Social and economic exchange in the employee-organization relationship; the moderating role of reciprocation wariness. Journal of Managerial Psychology, 24(8), 701-721. Tett, R. P. ve Meyer, J. P. (1993). Job satisfaction, organizational commitment, turnover intention and turnover: Path analyses based on meta-analytic findings. Personnel Psychology, 46(2), 259–293. Tracey, J. B. ve Hinkin, T. R. (2008). Contextual factors and cost profiles associated with employee turnover. Cornell Hospitality Quarterly, 49(1), 12-27. Van Scotter, J. R. (2000). Relationships of task performance and contextual performance with turnover, job satisfaction, and affective commitment. Human Resource Management Review, 10(1), 79-95. Van Scotter, J. R. ve Motowidlo, S. J. (1996). Interpersonal facilitation and job dedication as separate facets of contextual performance. Journal of Applied Psychology, 81(5), 525-531. Yang, J. T. (2008). Effect of new comersocialisation on organisational commitment, job satisfaction, and turnover intention in the hotel industry. The Service Industries Journal, 28(4), 429-443.